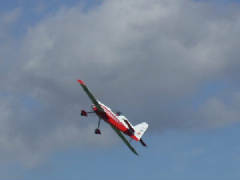 Possibly one of the most hotly debated issues in modeling today is the relative benefits of using Li-Ion vs A123 vs ‘conventional’ technology batteries in larger aerobatic or scale warbird aircraft. In the heat of the debate, the new technologies have been refined, improved, thoroughly tested, shortcomings addressed and the systems tested again. Of course, while this development cycle is ever ongoing with Lithium gear, it should be noted that NiCads have reached endangered species status and NiMH will be next to to fall by the development wayside. Regardless, all of these types are still viable in IMAC and Giant Scale applications and the current state of NiMH development gives lie to the exaggerated oft repeated 'NiMH weighs twice as much, flys half as long as lithium' claim routinely made by folks that care to not be confused by the facts. I have absolutely no doubt that those that have already invested in new packs or chargers will not be switching based on the content of this comparison report, nor is it intended as an assault on their choices... I have great respect for those that in effect put cash on the barrel head and then 'risk it all' to help develop new technologies for the hobby. It's thanks to those brave souls that these technologies are as refined as they are, and it's thanks to their support and input that we enjoy the choices we have today.. But for the folks that are still sitting on the fence or are contemplating their first IMAC or Giant Scale project, perhaps this white paper will be of assistance in making a decision. The ‘storm of debate’ on batteries has been with us from the start of radio control.. and the focus of the debate has it's roots in weight. 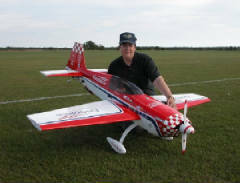 Everybody knows, ‘lighter is better’ when it comes to model performance, and some of the hobby’s greatest improvements in performance are relative to power and weight in the aircraft we all fly. Ever in pursuit of ‘weight savings’, the builder often gets to the end of his project, weighs up the fruits of his efforts and discovers he ‘needs’ to cut the weight buildup by revising his selection of on-board equipment in pursuit of his magic number. I’ve discovered that about the only thing you can do to a model that does not add weight is look at it. Everything else is weight gain. Everything! Next, having established a train of logic that has ‘weight’ as the core of the debate, the modeler looks for servos, receivers and control components that reduce the deficit of weight gain that appeared in the building process. By the time we’ve finished the control system and are looking at batteries, there seems to be a willingness to compromise both common sense and an inordinate amount of money to assuage the guilt of ‘missing the magic number’. Sanyo Nicad Parallel System, Total Capacity, 4800ma. Total Rx Pack load rating: 45 amps. And, the winner is.... Nobody! Now, a quick look at the numbers would indicate that all three Lithium based systems shown are in the ‘ballpark’ as far as weight goes.. the Nicad system is a beast in the weight comparisons, but that can be an advantage in some scale warbirds looking for weight in a strategic area of the plane to get CG in range without adding lead. The Lithium systems are less than one ounce different in weight, there's a 4 ounce difference with the NiMH setups. With the two Li-Ion systems, if you factor in the additional weight of a voltage monitor and the recommended low voltage cutoff modules, then the Li-Ion weight advantage is reduced to less than 1 ounce over the NiMH setups, and the A123 system easily becomes the 'lightness leader'. While A123 comes in below the Li-Ion and NiMH in the capacity race, whatever small capacity advantage a Li-Ion and NiMH system would enjoy is usually eaten away by the A123's much lower impedance, larger usable percentage of capacity and faster potential recharge times. Folks; if you sit down and figure out what the equipment costs for the more exotic Li-Ion systems (Power Boxes, regulators, etc) and then have a close look at the cost per ounce of system weight, you really gotta ask yourself just how much of a difference that 1 ounce will have on the way our 16lb (256oz) airplane is going to fly. . For that matter, ask yourself how much of a difference four ounces will have on the way our two hundred and fifty-something ounce plane will fly! Now, normally, it's not a wise thing to thump folks about the head and shoulders with tire irons or numbers, but just off the cuff here, I'd say "taint no winner, folks; my scale cain't read less than 1%". Now, if you’re on or near the top of the heap in aerobatics world, and you intend to compete on the nationals level in pattern and aerobatic events, possibly I can see the weight point, (and you’ll probably get your packs for free at that level) but at this point in comparative technology development and in the vast majority of today’s sport aerobatic ARF IMAC aircraft, the one to four ounce weight difference don’t amount to a hill of beans in aircraft performance. I humbly submit that picking a better prop is a whole lot more useful exercise in better power to weight than throwing a ton of cash into your battery system! ...if not weight... then Why?? Personally, I pursue critical application radio system setup with one motto: "Every component between the battery and receiver adds risk, weight & reduces reliability." My best advice for folks contemplating the move to the big birds and the various battery technologies used in them.. keep it simple.Consider and provide for ease of access to the pack(s) for evaluation and charging at the field and equip yourself with competent serviceable pack checking & charging equipment that's easy to use, appropriate for the type system you intend to use and become familiar with it so you can make competent "fly; no-fly" decisions before each and every flight. Buying good high quality field gear the first time might be a bit more expensive out the gate, but in the long run costs much, much less. *It should be noted that with the Lithium Ion systems a Voltage Regulator is commonly used for each pack. Should you chose to improve the ‘Spaghetti Factory’ wiring situation and further improve current handling and system safety in these systems, there are several types of ‘Power Boxes’ available from several distributors that greatly simplifies system installation.. and it adds several hundred bucks (at least, most cost $400+) to the cost and 5 or more oz to the system weight. You'll also note I did not price in the (much more expensive) 'recommended' regulators and switches sold by Fromeco and Duralite.. I used the pricing and weights of the ElectroDynamics UltraSwitch II's and common standard HD 10amp system adjustable regulators (when I need one) that I sell here. REGARDING REGULATORS: With the Nicad & NiMH and A123 systems, using a voltage regulator is not usually a required piece of equipment. I generally avoid the use of regulators and select ignition systems and servos that will tolerate the full voltage of the packs that I select for that model. Whenever you use a regulator you are adding a component that adds weight, complication and another possible mode of system failure, and they are not used in the comparison except where commonly used. All 3 lithium setups shown have redundant Rx switches, chargeports and packs. Note: 'clone' LiFe systems (commonly referred to as LiFe PO4) do not share A123's load carrying capability or A123's extremely long calender/duty cycle lifetime advantages. If it does not say A123 on the label, for comparison purposes it's at best just a lower voltage Li-Ion pack in terms of loading capability, relaibility and lifetime expectations. **** We've showcased the Sanyo 4/5 'A' 1950 FAUP High Rate NiMH cell in this comparison rather than the more commonly flown (slightly lighter) Sanyo HR-2150AU. Why? Because we liked the load performance, durability and fast charge capability of the heavy duty 4/5 A FAUP High Rate cell. And; we preferred to place dependability just a hair higher on the order of priorities than weight when we chose a cell for IMAC Rx applications. NOTE: Smart-Fly, Fromeco, Relion, Duralite and Duralite Plus are copyrighted trademarks. The fair use of a copyrighted work for purposes such as criticism, comment, news reporting, teaching (including multiple copies for classroom use), scholarship, or research, is not an infringement of copyright. TITLE 17 > CHAPTER 1 > Sec. 107. US Code. Don't Pay More.. GET more with NoBS Batteries!